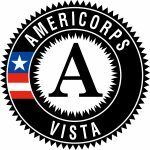 We are proud to work with AmeriCorps VISTA and AmeriCorps members at our organization. We’ve been working with AmeriCorps members since 2006, whose numerous projects have greatly contributed to our mission! Nationally, the stats for AmeriCorps service are impressive. • 983,000: Number of individuals who have served as AmeriCorps members since 1994.
o 9,300: Number of Iowa residents who have served as AmeriCorps since 1994. 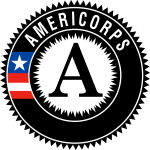 • 1.38 Billion: Total number of hours served by AmeriCorps members. o 12 million: Number of hours service by Iowa AmeriCorps members. • $3.1 Billion: Total amount of Segal AmeriCorps Education Awards earned by AmeriCorps members. • $1 Billion: Amount of resources from private, philanthropic, and other sources leveraged by AmeriCorps programs in 2015.
o For every $1 appropriated by the state, Volunteer Iowa leverages $14 in private dollars and $45 in federal dollars. • 2.3 Million: Number of community volunteers managed or mobilized by AmeriCorps members in 2014. • 21, 600: Number of unique sites that AmeriCorps members served at last year. Our two current members are two of more than 983,000 AmeriCorps members who have served since 1994, and two of over 1,000 members in Iowa. AmeriCorps members make all the difference in overcrowded classrooms, understaffed health clinics, after-school programs that keep kids safe, tutoring programs that lower dropout rates, and disaster relief efforts that rebuild communities. It is an opportune time to recognize AmeriCorps members and to explore a vision for the future where national service and civic participation are the common expectations and experiences of all Iowans. Please learn more about AmeriCorps and show your support for the members who are doing their part to tackle community problems in every corner of our state.